Cowls are the perfect extra layer of warmth that are durable, fairly snag-resistant, and fashionable. 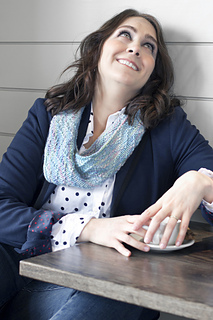 The stitch design for this cowl came from my desire for a pattern that works well with a varied colorway or a solid yarn. The chevron design emulates the pointed end of Cupid’s arrow. 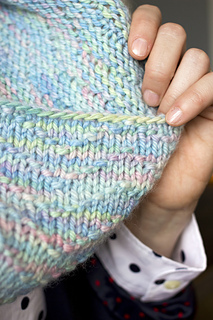 5.5mm circular knitting needles cowl length. Scissors and needle to weave in ends. 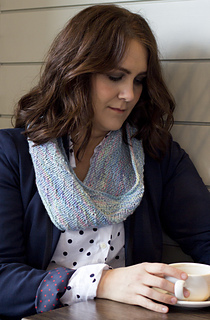 Each pattern repeat adds about one inch in cowl length. 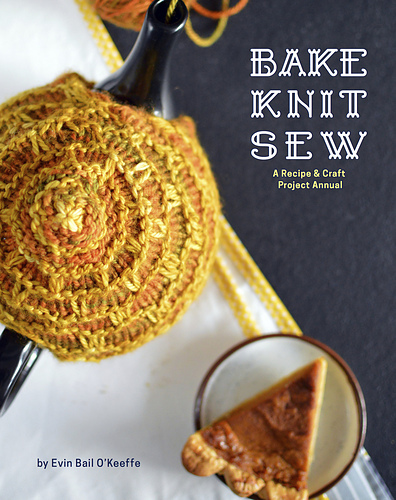 This pattern is paired with a White Chocolate Cheesecake recipe for the February section of the book, Bake Knit Sew. The complete ebook is for sale on Ravelry. The print version will be available for $19.50 (£12 or €16) through the publisher and other fine booksellers after November 1.